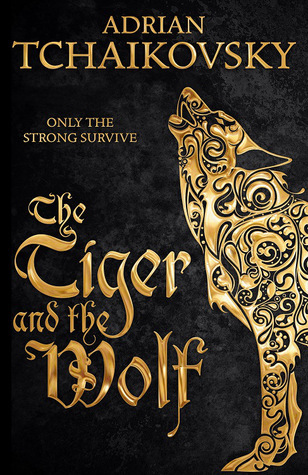 The Tiger and the Wolf is one of those books that's hard to miss in book shops, with its gorgeous, striking cover and metallic glinting patterns. Even so, the back cover text never appealed to me, so I only picked up the book after reading something else by Adrian Tchaikovsky which convinced me that he is a good writer. Maniye, daughter of a clan chieftain of the wolf tribe, is on the cusp of passing into adulthood. But passing the rite might not go well: the tribe's shaman has a special, hostile interest in her, and she has a secret that none of her peers must find out. In her live two souls, for she is not just of the Wolf, but also of the Tiger, whose tribe has been at war with the wolf tribe since before she was born. If her other soul is revealed, her life will be forfeit. The Tiger and the Wolf is set in The Crown (far North) of a world where all humans have totem animals, whose souls they share, and whose shapes they can "Step" into, which comes in handy in combat. It's a striking setting, and one which is likely to make for a very visually satisfying TV show one day. The plot lives up to the setting: Maniye's adventures never get boring. Relentless pursuits, a merciless winter, friends and foes - the book is richly seeded with chances for Maniye to prove her worth, run away with her tail between her legs, or suffer a grim fate. It's not just Maniye's story, however. We do get other viewpoint characters, and other plot lines which intersect with hers. It took me a while to realise that The Tiger and the Wolf was building up, in its own way, a panorama of a world which is no less detailed, nor less epic, than the Song of Ice and Fire series. Similarly, there is a ruthlessness infused in the tale - characters have motivations and limitations and survival is never a given. There is also great cruelty - albeit fortunately the book never becomes as seedy and filled with sexual violence as GRRM's magnum opus. Still, if you are squeamish about brutality, Tiger and the Wolf is likely to make you very uncomfortable indeed. Aside from being less seedy, Tiger and the Wolf also sets itself apart from Song of Ice and Fire (and the many books that try to emulate its style) by having fewer villains and more characters who try to be decent human beings, even if their world is a harsh and unforgiving one. No, it's not a kindness-fest of people being nice at each other. Instead, it's a novel where ruthlessness is balanced by a degree of human decency, and where evil is more often the result of necessity or tradition than a choice actively sought out. This makes the book much less unpleasant than Song of Ice and Fire - you don't feel as if you've just soiled your brain in grimy muck when you finish reading. There are some relatively superficial flaws. Maniye spends a lot of the book being chased, but as a runt, I often struggled to see how she escaped from the jaws of her pursuers. Furthermore, there are some stylistic devices which are a little overused. Perhaps the latter is unavoidable in a 600-page epic. 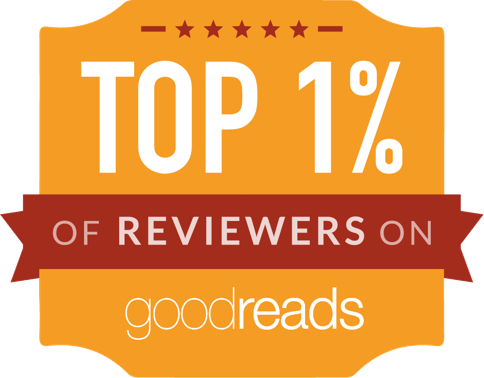 On the whole, anyone who enjoys their fantasy novels big, epic, harsh and tense will appreciate The Tiger and the Wolf. It's not just a case of Song of Ice and Fire mimicry, but a book which is truly a peer of that other epic, matching its grandeur and, for my taste, frequently exceeding SoIaF's quality. It's a cracking read.